Key factor leading to the seizures has been identified by Russian scientists. This work was supported by the Russian Science Foundation and published in Frontiers in Cellular Neuroscience. 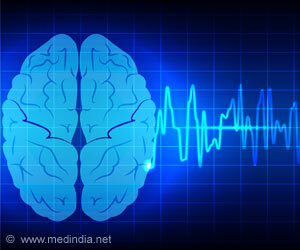 A person subject to epilepsy suffers from occasional convulsive seizures. The condition when the seizures follow each other after a short time is called epistatus and considered to be particularly dangerous. Although scientists know that this happen due to excessive excitation of neurons in the brain, the cause of such excitation remains unclear. In the new study, the researchers examined the signaling processes in the cortex of the temporal lobe before and after the seizures. This area was chosen on purpose since the epilepsy associated with it is the most common. Scientists conducted their research on a rat brain cut placed in a special pro-epileptic solution that mimics convulsions in the patient's brain tissue. To study the excitability of neurons, scientists analyzed the currents that occur in the brain cells stimulated by electricity, before and after a 15-minute epistatus. "Neurons send each other signals that can be excitatory or inhibitory, depending on the type of target receptor on the cell membrane. For example, the first are those that react to glutamate and its analogues, the second are sensitive to gamma-aminobutyric acid or GABA. Yet GABA receptors of those suffering with the epilepsy also become exciting. There lies the main research difficulty: when several signals act on the neuron at once it is very difficult to assess their individual contribution," says Anton Chizhov, doctor of physical and mathematical sciences, senior researcher at the Ioffe Institute of RAS and Leading Researcher at Sechenov Institute of Evolutionary Physiology and Biochemistry. During their experiments, scientists examined the effect of amino acids (constituent proteins) on receptors of all major types (AMPA, NMDA and GABA). It turned out that each of these components of the signal after epileptic electrical discharges becomes stronger and longer. But what if this happened as a result of affecting only one amplified signal on the remaining paths? To find this out scientists created a mathematical model of interacting nerve cells system. According to the model, only the conductivity of the AMPA receptors in the network of neurons significantly changes, leading to stronger excitation of all neurons and stronger synaptic signals recorded on one nerve cell. "Further studies showed that this is the mechanism of synaptic plasticity with the incorporation of new calcium-permeable AMPA receptors into the cell membranes. Under normal conditions, such a process in the brain is associated with memory and learning, but under pathological conditions it leads to an excitability increase up to tens of minutes. Therefore, the risk of a new convulsive discharge rises, which may lead to pathology fixation. DOOR syndrome is a rare genetic disorder marked by deafness, short or absent fingernails, abnormal development of digits, and intellectual impairment. It is non-progressive and treatment is mainly supportive. Video-electroencephalography monitoring is a diagnostic technique that records the electrical activity of the brain during seizures for a prolonged period.